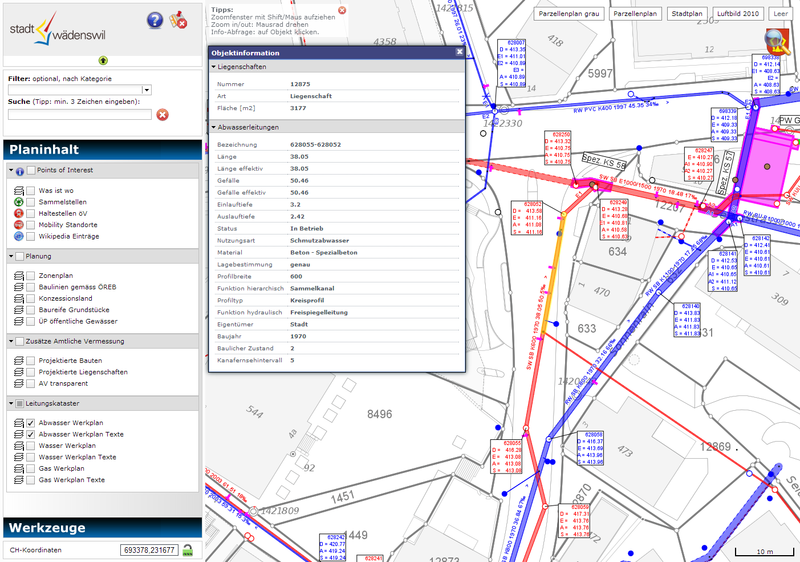 Since July 2001, wow, since 15 years, TYDAC runs the Web GIS application for the City of Wädenswil. In the past the data was acquired and managed with Adalin, was exported to INTERLIS and translated to MapInfo Professional as the desktop solution, and to Neapoljs as a web solution (using the same format). In recent years the city has migrated the base system to Autodesk Topobase and Autodesk Map 3D. Therefore, it became obvious to migrate the web solution as well. Periodic export from Topobase to SQLite using FME, upload via ftp. Frequency as needed (the export of all required data does not take more then a few minutes). Export the display definition from Autodesk Map3D toAIMS, and change the data link from Topobase to SQLite (this is a one time task, only to be repeated if there are major changes in the display definitions; minor changes are done manually). 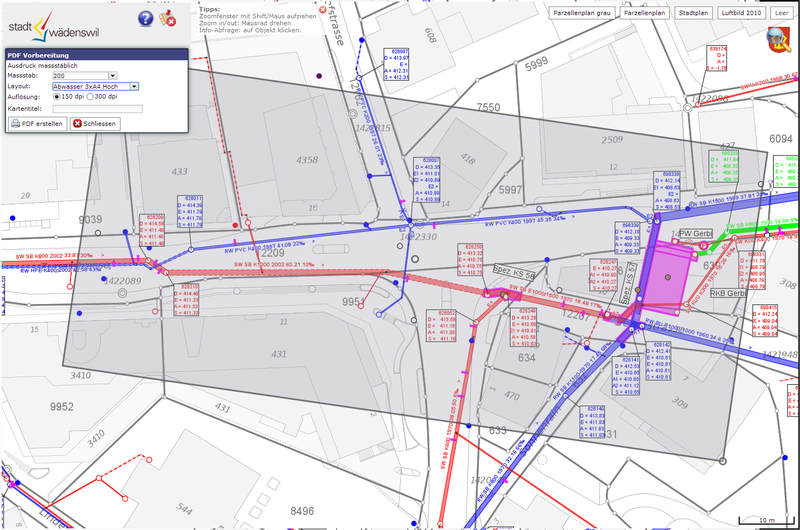 The basemaps (tiles: surveying, city map, aerial photographs) are processed using MapCache, updates as needed (e.g. survey nightly). Planning: zoning, construction lines (WMS canton of Zurich), ready for construction plots etc.